In general: On almost all devices, you’ll find an identification stating the exact data of the device. The best of all solutions is to send us a digital photo of it. Here are some examples where you can find the picture with the data and which numbers or data you have to provide us. If you cannot find your device in our database, ask us for it Do not forget to specify what you already have. This will help us for our search. 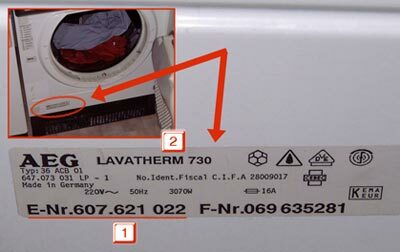 (2) You can also search for, for example, Lavatherm730. But the E. No. Number is preferred. 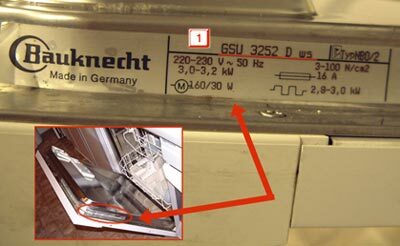 Whether the service is preferred is 12 NC 85 ….. or 85 ….. especially for appliances of large households, it is important to correctly identify the device. So try in case of doubt all the numbers! 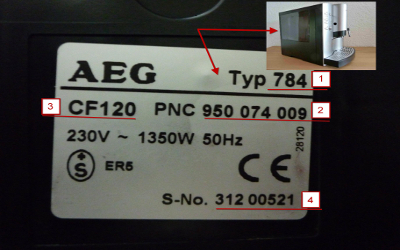 To identify these devices, it is wise to use the  PNC number 950 074 009 (some manufacturers also known as No. ENR). Last  designation. and  are not useful. 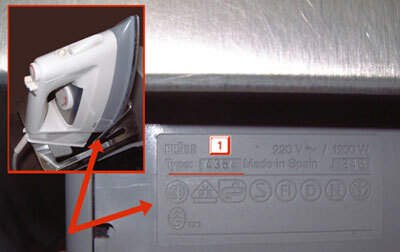 To identify these devices, it is useful to enter the registration number  No. 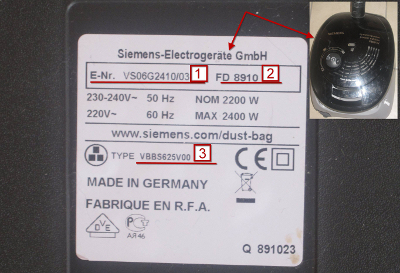 VS06G2410 REC / 03 (from other manufacturers No. PNC or F). 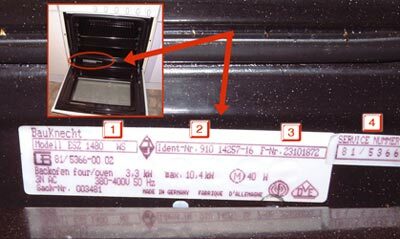 The production date is not useful to identify the device . 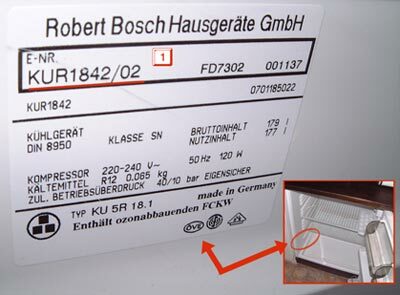 This indication is indicated on the inside of the device cover! On the back of the device. At the bottom of the device. The back of the device. 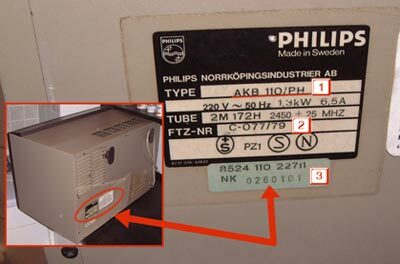 In the left example, the manufacturer would be Philips and the desired model number AKB110PH, see Fig. So, best send us : service stickers with 12 NC 85 ….. Or 85 …..